Yiwu China socks industry is nearly the most famous commodity item. 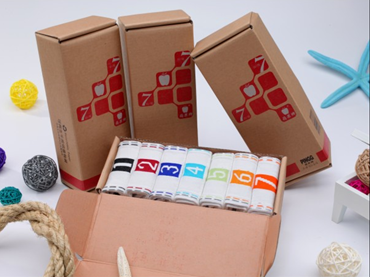 Even the 5 biggest socks producers are all in Yiwu, over 50% socks in the whole world are produced and shipped out from Yiwu. If you have 10 pairs of socks, half of them are from Yiwu. So if you want you be a sock wholesaler, Yiwu socks would be your best supplier. When you pay a visit to Yiwu socks market you will find there are all kind of women socks, men socks, children socks, knee high socks, sports socks, silk socks, wholesale leggings… What’s more most of the suppliers here have their own brand because they have their own factory. This is quite different from other market in the trade city. The brands even cover some international brands like Puma, Nike, and the socks are often offered to big supermarket like Wal-market. All above improve that Yiwu China socks are believable, if you have chance to search Yiwu stocking in the market, it will be over valued.